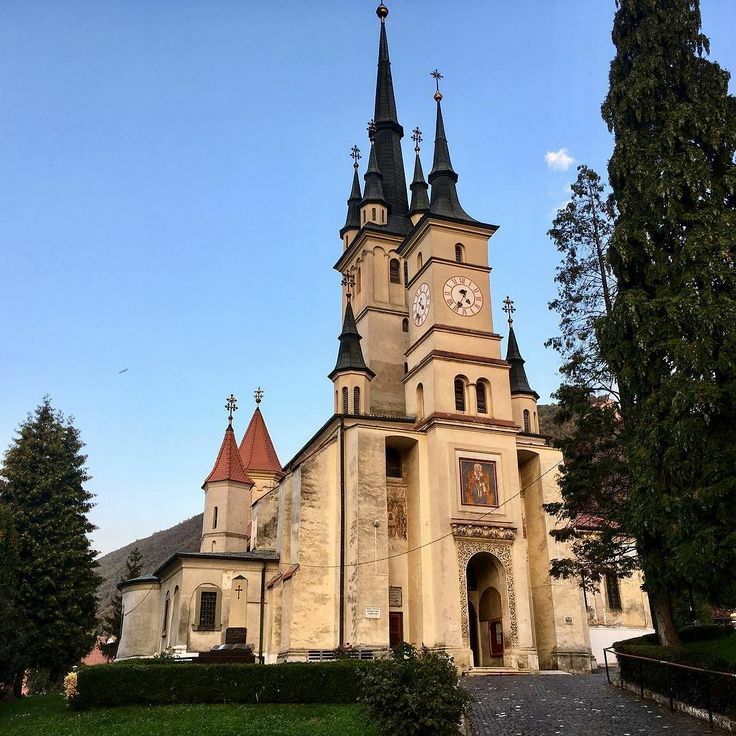 Brasov is one of the most beautiful and beloved cities in Romania, where you could spend at least a weekend enjoying the medieval atmosphere, getting to know its history, places and people. Brasov’s first attested mention dates back to 1252, under the Latin name Corona or the German – Kronstadt, which translates to “Crown City”, both names being reflected in the city’s emblem. On Mount Tâmpa once stood fortress called Brassovia, which eventually provided the Romanian name of the city. Archeologists also discovered the remains of a stone age settlement and of Dacic strongholds. The city of Brasov was built by the Teutonic Knights in 1211 in order to defend the border of the Hungarian Kingdom and was colonized by the Saxons of Transylvania, thus becoming one of the seven fortresses known as Siebenburgen. 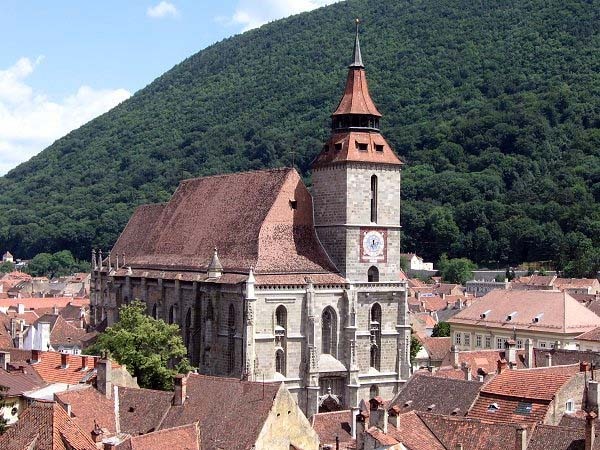 Traces of the German colonists’ influence can be seen in Brasov’s Gothic, baroque and renaissance architecture. All these things, together with a variety of historical attractions and breath-taking sceneries make Brasov one of the most visited places in Romania. Dating back to 1292, St. Nicholas Church commands, through its impressive size, the entire Schei neighbourhood. In 1495, the locals started laying the stonework of the church, sponsored by the ruler of the Romanian country at that time, Neagoe Basarab. Rightfully considered the cathedral of Romanians in Burzenland, St. Nicholas Church guards secular papers and documents, over 300 years old, and is the final resting ground of many important personalities from national and local history such as: Nicolae Titulescu, Ioan Meşotă and the priest Vasile Safta. Built in 1495 and afterwards modified in 1760 in the baroque style which can be observed to this day, the museum is comprised of multiple rooms and buildings, named after important historical personalities who played different parts in the development of Romania’s culture and national enlightenment process: The “Anton Pann” classroom, hall of “Diaconul Coresi”, the hall of “the Book and Erudits of Brasov”, the hall “The Book, agent of national unity”, Hearth Room, St Nicholas Church, “Ex libris”, “Junii brasoveni” Museum and “Tudor Ciortea” Museum. 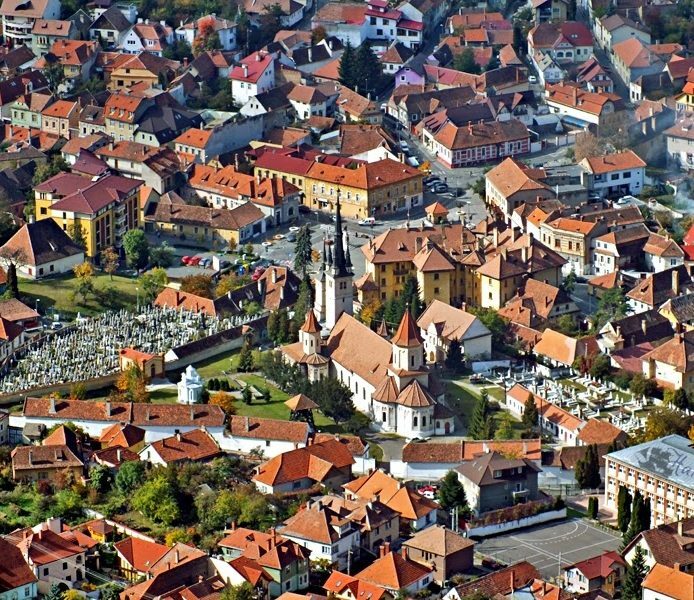 The settlement at the base of Tâmpa stronghold, has always been the center of the Romanian community in Brasov. In this place there existed, long before the construction of the medieval fortress of Brasov began, an old Romanian establishment called “Cătun”, whose inhabitants were the defenders of the Tâmpa stronghold. The settlement continued to exist after the construction of the fortress of Brasov, but was left outside its walls, after their completion in 1455. Schei Gate was the only way Romanians could get into the fortress and their access was permitted only in certain periods and by paying a fee at the entrance in order to be allowed to sell their goods inside the city walls. Ecaterina’s Gate replaced the old gate of the 14th century which was destroyed by invaders and a flood in 1526. The previous gate protruded from the city walls and had wooden palisades. In 1559, a square tower fitted with a mobile bridge to cross the moat was built in front of the gate. Ecaterina’s Gate served as an entrance in the city until 1827 when the necessities of the time imposed building a new one: Schei Gate. Today the tower of Ecaterina’s Gate has been refurbished and hosts periodic art galleries and historic expositions. 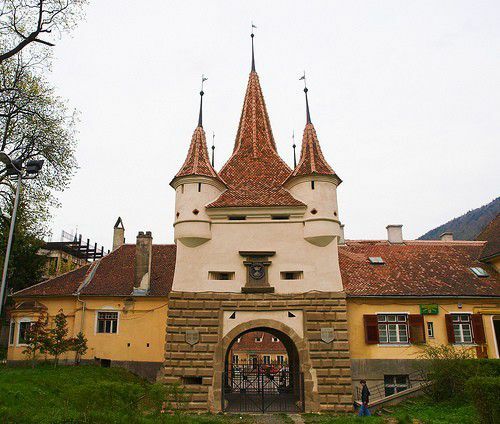 The gate, also called “porta valahica” in documents, was built between 1827-1828 to facilitate the communication between the fortress and the people of Schei neighborhood. 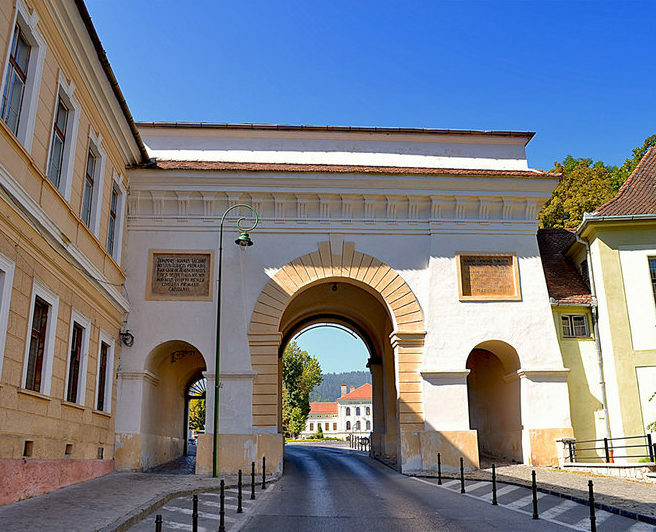 Built from stone and brick in a neoclassic style, Schei Gate has the shape of a triumphal arch with three reinforcements, a large one in the center and 2 smaller ones for pedestrians, on the sides. The inscription in Latin, marks the moment of its construction and also the fact that it was build following the visit of emperor Francisc I in 1817. Rope Street is the third narrowest street in Europe (after Spreuerhofstraße in Germania and Parliament Street in England). Its width varies between 1.11 and 1.35 meters, it was also included by Huffington Post in the top narrowest streets in the world. 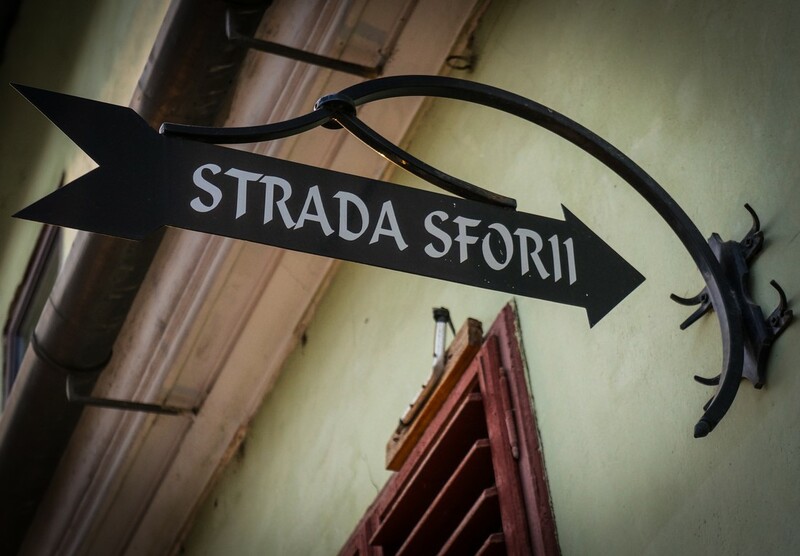 Rope Street is located between Cerbului and Poarta Schei streets. 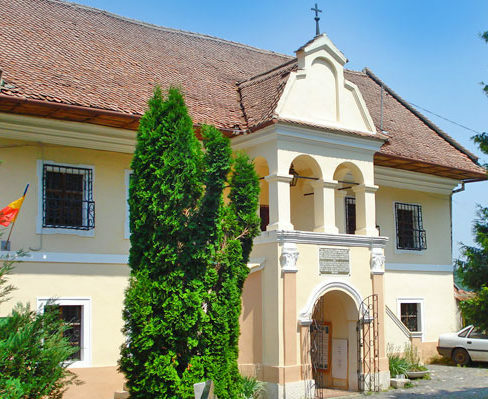 Its existence is recorded in documents from the 17th century as a simple corridor which facilitated the work of firefighters and therefore reflects the urbanization tendencies of Medieval Brasov. The Black Church is one of the most representative gothic architectural monuments in Romania. It was initially called Saint Mary’s Church until 1689 when a fire partially destroyed the building and blackened its walls. Then it received the name it kept to this day – the Black Church. In its tower, the church hosts the largest bell in Romania, made of bronze and weighing 6 tones. The church also has a large collection of oriental carpets. Another element of the church’s patrimony is the renowned Bucholz organ boasting 4000 pipes, which was installed in 1839.